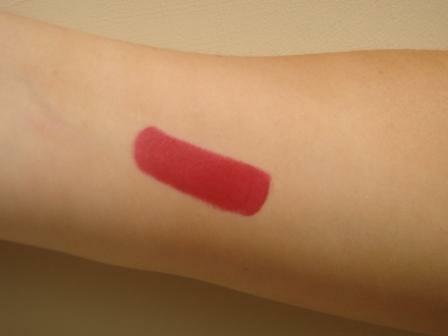 Continuing with the red lipstick theme, today's post looks at Bobbi Brown's Lip Color in Vixen Red. I really rate Bobbi Brown products. It may be psychological but personally, I think it comes across that the wearable range is created by a woman for women. Despite lipsticks being one of her signature products, this is my first foray into Bobbi Brown lipstick so I was intrigued to see whether it would live up to the hype. Bobbi Brown Lip Color is designed to provide a semi-matte finish with full coverage and I feel that it delivers. It's also impressively long-lasting. I like the name, Vixen Red, as it summarises how a red lipstick makes you feel. The packaging is standard for a lipstick, sleek but nothing ground-breaking. To me, the colour is a warm red with subtle brown undertones. I would say that this gives it a slightly retro feel, although these earthier shades are really where it's at for AW 2011 so in fact, it's bang on trend. 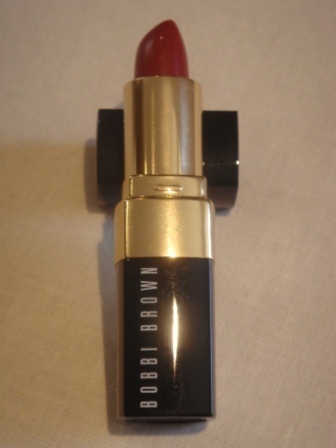 At £18 for a lipstick, Bobbi Brown is another pricey one yet the quality speaks for itself.